Let me tell you, everyone who has ever tried this has LOVED it! Even people who aren’t normally chocolate lovers LOVE this. Before you attempt to prepare it make sure your avocados are nice and soft. Open avocados and empty them (minus the pit) into a blender/mixer/food processor. Add half of the cocoa powder and half of the agave along with the salt and vanilla. Blend until well mixed, taste and add more cocoa powder and agave until it is the flavor you like. You will not taste the avocado. This could be served with almost any fruit, strawberries make a wonderful accompaniment. I’ve even frosted cupcakes too. I could eat it with a spoon but I’m wild like that. You will not believe something this creamy is dairy-free. For a frozen treat, freeze it by the spoonful (on a plastic spoon). You can also freeze it in a small bowl or cup, just let it defrost for a few minutes before enjoying. This has a really long shelf life (when refrigerated) probably due to all of the sugar. I have done experiments but it’s safe to say it usually lasts well over a week. If it’s frozen I’d use it within a month. It seems to work best for me when I use my food processor but I have used my Magic Bullet with good results, it just takes longer. 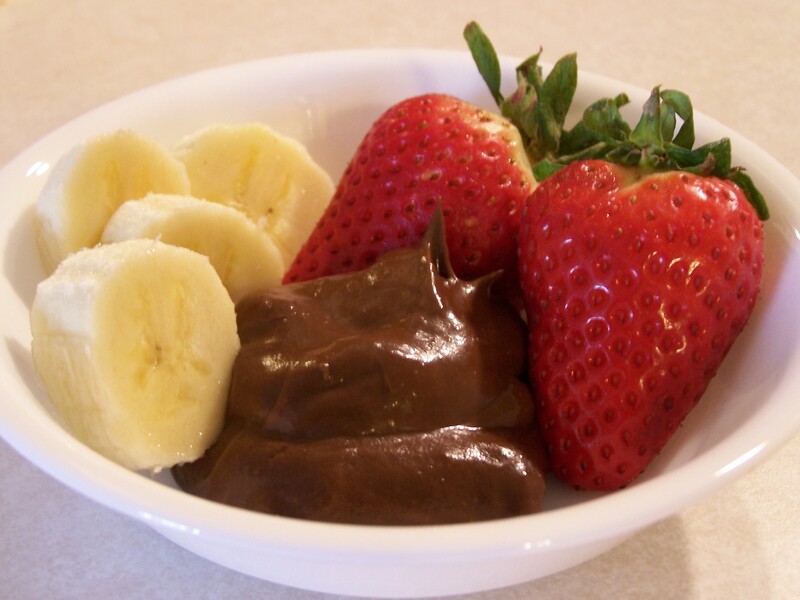 mmm….love chocolate mousse with avocados! That looks out of control. I can’t believe how long it lasts in the fridge. I’ve made an avocado chocolate ice cream out of my blendtec manual but this is a different ratio. YUM! I’ve made a chocolate shake using avocado that was interesting. I used agave to sweeten it and I’m starting to get grossed out by it. Next time I’ll use dates or maple syrup. Thank you! The avocado made the shake really creamy without using dairy. I froze the rest into popsicle molds. My boys loved it! I think it’s the coolest thing to make mousse out of avocados! An incredible dessert when avocados are on sale. They are a fun frozen treat too!